Guest Editorial: A contribution of Tipler's Omega Point Theory to Near-Death Studies • James C. Crumbaugh, Ph.D. The Near-Death Experience: An Integration of Cultural, Spiritual, and Physical Perspectives • Daryl S. Paulson, Ph.D.
Claims of Near-Death Experiences, Gestalt Resistance Processes, and Measures of Optimal Functioning • Kevin P. Prosnick, Ph.D. 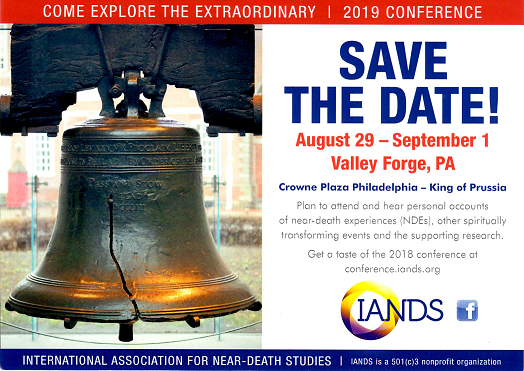 Gender and Trauma in the Near-Death Experience: An Epidemiological and Theoretical Analysis • Linz Audain, J.D., Ph.D., M.D. Book Review: The Eternal Journey: How Near-Death Experiences Illuminate our Earthly Lives, by Craig R. Lundahl, & Harold A. Widdison • Reviewed by Jenny Wade, Ph.D.
Book Review: Conscious Dreaming: A Spiritual Path for Everyday Life, by Robert Moss • Reviewed by J. Timothy Green, Ph.D. The Theory of Essence. III: Neuroanatomical and Neurophysiological Aspects of Interactionism • J. Kenneth Arnette, Ph.D.
Near-Death Experiences and the Theory of the Extraneuronal Hyperspace • Linz Audain, J.D., Ph.D., M.D. Book Review: Light and Death: One Doctor's Fascinating Account of Near-Death Experiences, by Michael B. Sabom • Reviewed by John C. Gibbs, Ph.D.
Book Review: The Journey Home: What Near-Death Experiences and Mysticism Teach Us about the Gift of Life, by Phillip L. Berman • Reviewed by Jenny Wade, Ph.D. The Induction of After-Death Communications Utilizing Eye-Movement Desensitization and Reprocessing: A New Discovery • Allan L. Botkin, Psy.D. Religious Wars in the NDE Movement: Some Personal Reflections on Michael Sabom's Light & Death • Kenneth Ring, Ph.D. Response to Kenneth Ring's "Religious Wars in the NDE Movement: Some Personal Reflections on Michael Sabom's Light & Death" • Michael Sabom, M.D.